Total Dentalcare have three dedicated dental implant centres, located in London Harley Street, Folkestone and Peterborough. We offer a same-day implant procedure called TDC Smile in a Day. It is a permanent and life-changing solution for people who live with the discomfort, inconvenience or embarrassment of dentures or loose and missing teeth. 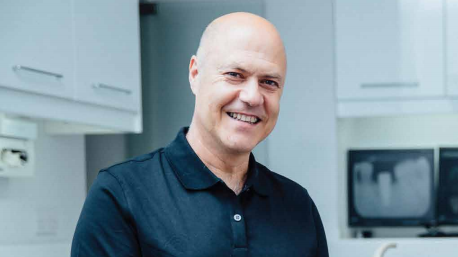 With over 25 years’experience in placing implants and a reputation built upon clinical excellence, exemplary patient care and consistently outstanding results, we have helped hundreds of patients to smile again, eat and enjoy all kinds of food again and above all to get their confidence back. Dental implants replace the root of decayed, loose or missing teeth with a screw-like titanium post, onto which a crown (a replacement tooth or a whole arch of artificial teeth) can be fixed. The jawbone fuses with the titanium post, providing a very stable base for custom-made, fixed teeth. They look, feel and function just like normal teeth and can last a lifetime if properly cared for. What is TDC Smile in a Day? Smile in a Day is an advanced, highly skilled treatment where either single or a full set of implants and custom-made, temporary fixed teeth are fitted on the same day. The procedure is virtually pain free. Patients arrive for surgery with failed or failing teeth and leave with their smile and confidence restored. How can you do it in a day? Unlike traditional implant methods where treatment requires multiple surgical procedures and months of healing time, our highly experienced team is able to perform any extractions, the implant surgery and a full set of natural-looking temporary fixed teeth in a single surgical visit. This is possible as the implants (usually four in each jaw) are placed at very precise angles to maximise the use of available bone, eliminating the need for bone grafts. Even in cases of extreme bone loss where zygomatic (cheekbone) implants are needed, the procedure can still be carried out in one day. And, instead of wearing removable dentures during the healing period, you leave our centre with secure, natural looking teeth that remain in place night and day. The final set of permanent, fixed teeth is placed around three months later, ensuring a perfect fit with the settled gums. Months of treatment and healing time is reduced to a single visit. 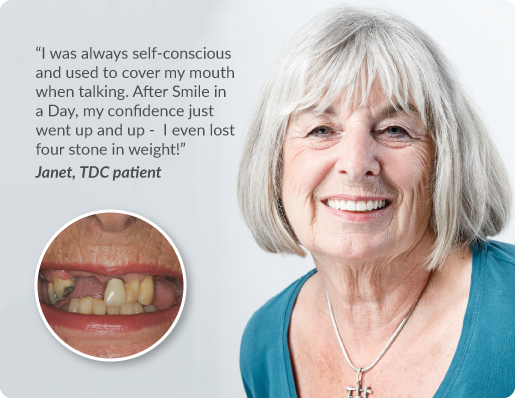 Why choose TDC Implant Centres? 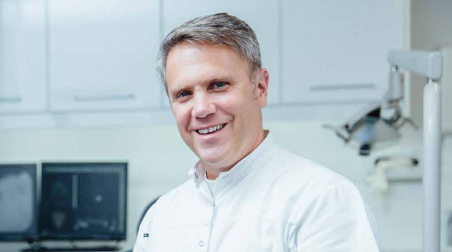 Dr Michael Zybutz has performed dental implant procedures for over 25 years and lectures on implantology around the world. He is the only registered specialist dentist in the UK accredited by the American Academy of Cosmetic Dentistry. Dr Anthony Zybutz has been placing teeth on implants since the mid-1990s. Certified in Advanced Aesthetic Dentistry (UCL/Eastman) he is renowned for clinical excellence in dental care and his outstanding results in smile restoration. If you would like to learn more to book your free, no-obligation consultation call 0800 012 2086. And why not visit www.smileinaday.co.uk to see amazing before and after pictures, read patient reviews and watch videos.